Oval moulding inlaid with contrasting panels on the headboard and footboard adds interesting detail to this classically beautiful queen bed. 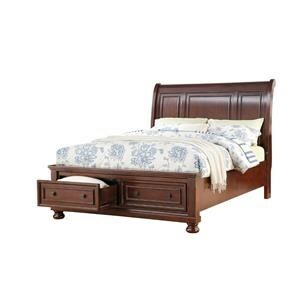 The Bourbon Queen Sleigh Bed with Decorative Moulding by Elements International at Great American Home Store in the Memphis, TN, Southaven, MS area. Product availability may vary. Contact us for the most current availability on this product. Indulge the traditionalist within, with the classically inspired Bourbon by Elements International. 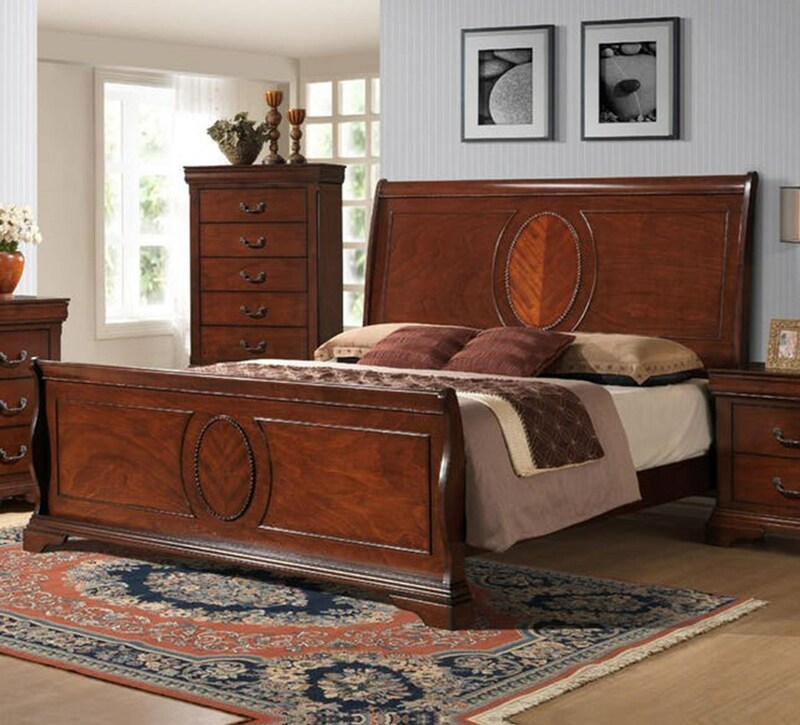 Its rich cherry finish is complimented by carefully molded panels and a reoccurring antique oval design. All case pieces are finely crafted, featuring antique knobs and pulls to create a warm look. Its hidden storage drawers allow safe keeping of valuables. The Bourbon collection is a great option if you are looking for Transitional furniture in the Memphis, TN, Southaven, MS area.